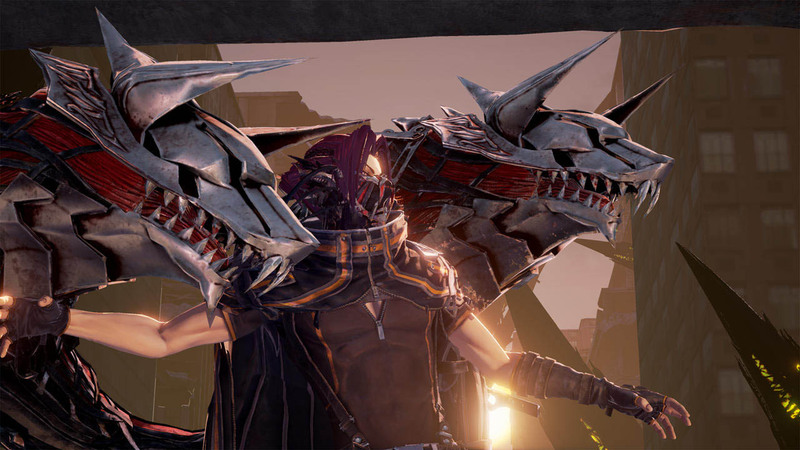 A batch of new Code Vein screenshots reveals two Revenants you'll encounter in-game. 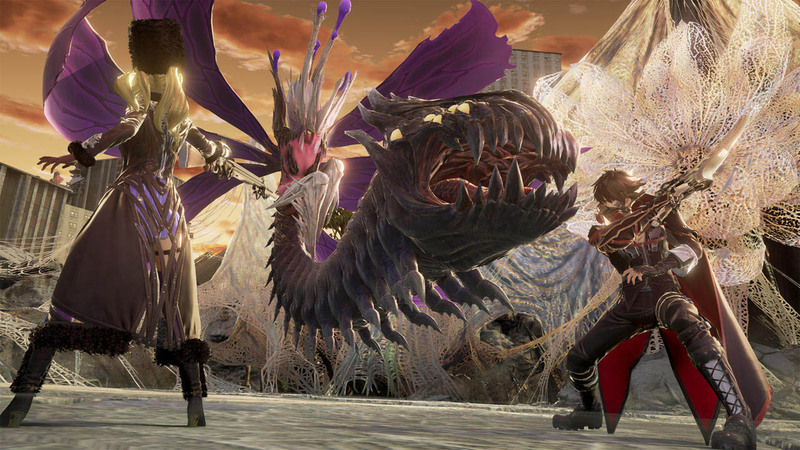 Code Vein was announced back in April after a Dark Souls-like teaser trailer. 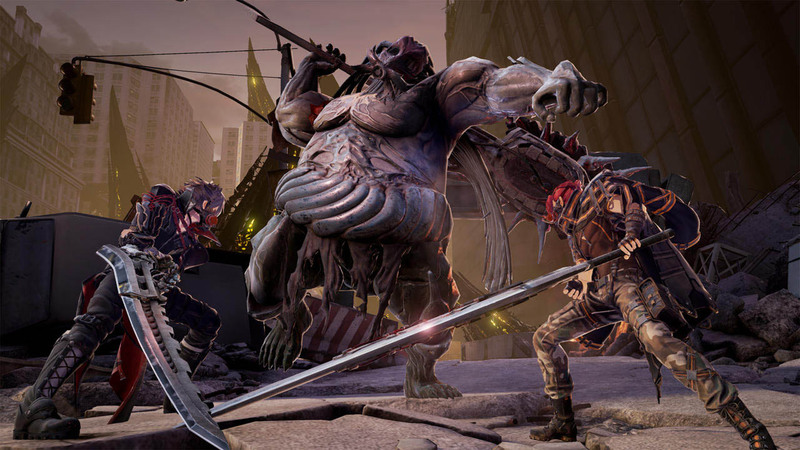 The upcoming RPG has players playing as vampires called Revenants in a futuristic world. 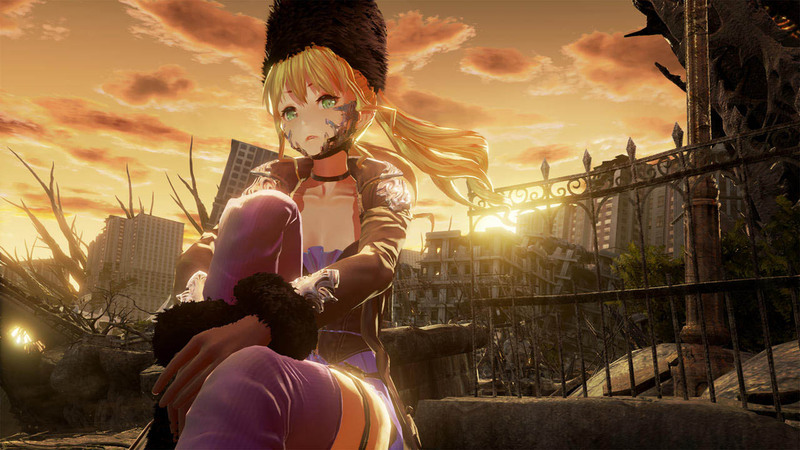 Bandai Namco says that the game is set in a "dystopian world populated by vicious enemies and monstrous bosses." As Revenants, the players will have to select a companion from their hidden society called the Vein. 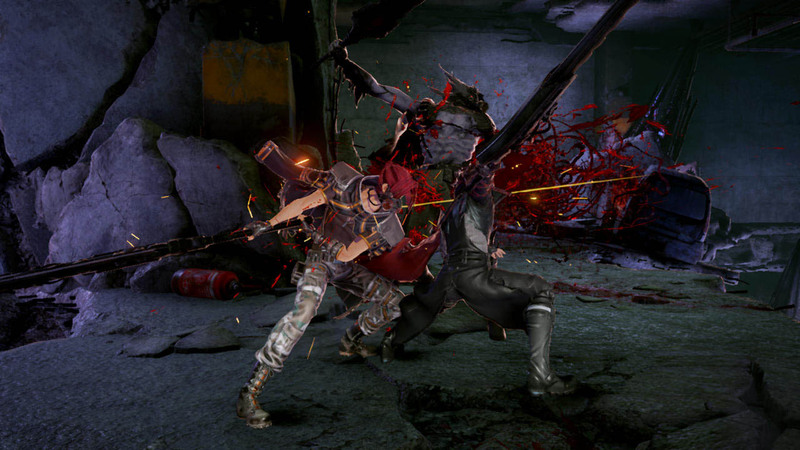 The new screenshots released today introduce a couple of other Revenants that you'll encounter during the game: Mia Karnstein and Yakumo Shinonome. 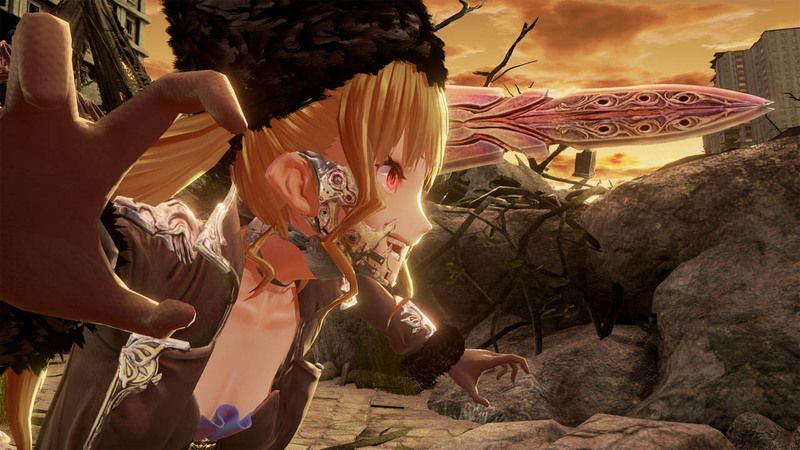 Mia is described as, "A wandering female Revenant is wandering in the land called "Vein". She is accompanied by her younger brother (only family member she has left) whom she will do anything to protect. Her weapon of choice is a bayonet-styled weapon that can be used to attack at a distance." 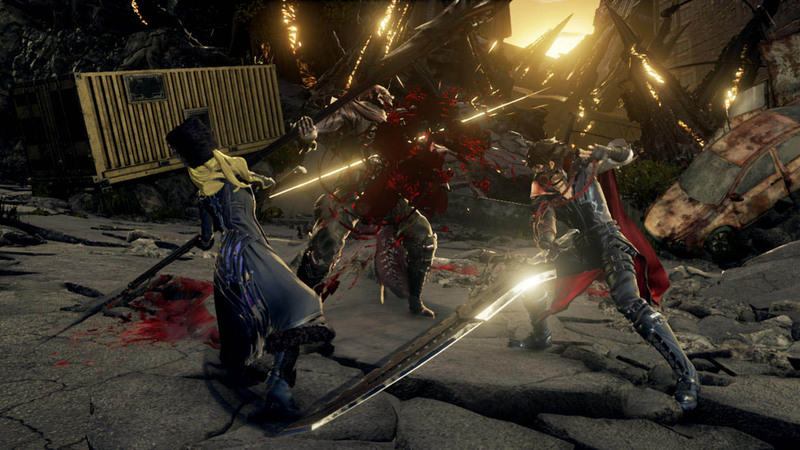 The press release says of Yakumo, "A Revenant and former mercenary, Yakumo is a faithful man who is good at taking care of others. He is loved by others and conducts himself in a cool and professional manner during combat." 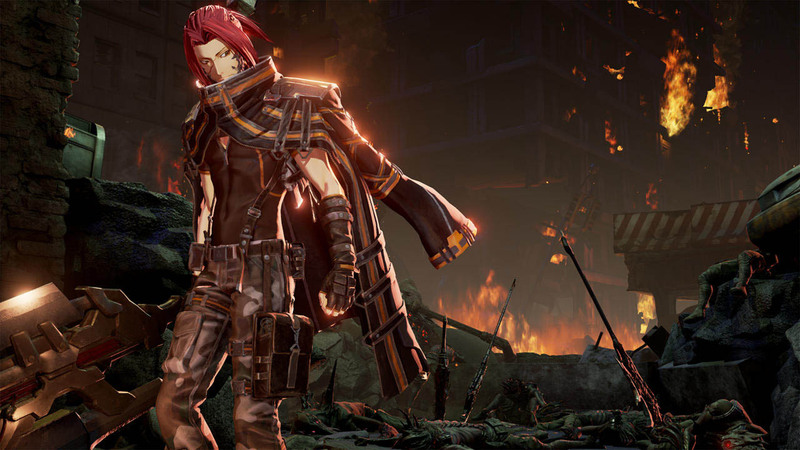 Code Vein is coming to PC, PS4, and Xbox One sometime in 2018.